Gov. 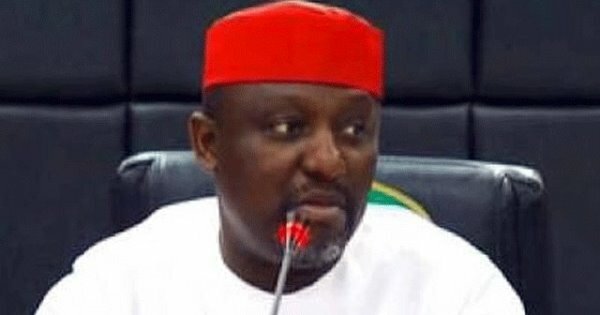 Okorocha imposes N3,000 ‘Development Levy’ on all adults in Imo state – Royal Times of Nigeria. Governor of Imo state, Rochas Okorocha, has ordered all ‘leviable adults’ in the state to pay N3,000 each as ‘development levy’. 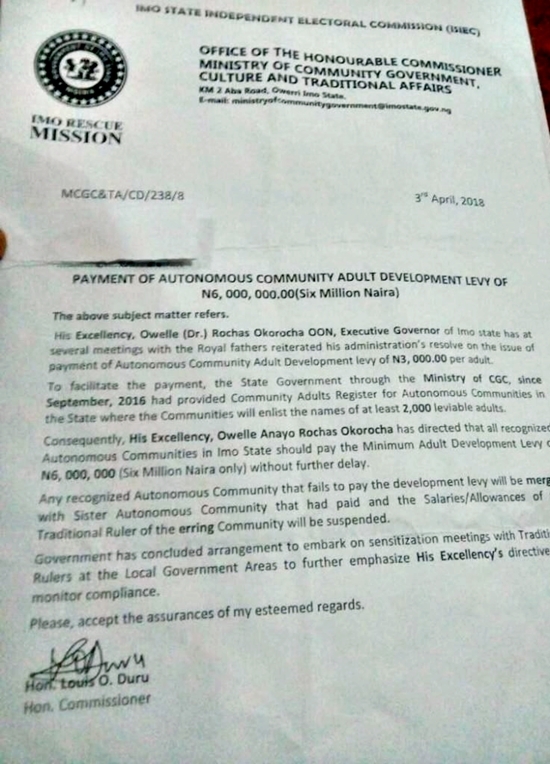 According to a statement by the Imo state Commissioner for Community Government, Culture and Traditional Affairs, Louis Duru, the money is to be used for autonomous community adult development, adding that the state had registered at least 2,000 leviable adults in each of the 637 autonomous communities. The statement revealed further that recognised communities will serve as the collectors and they are to pay not less than N6 million each.